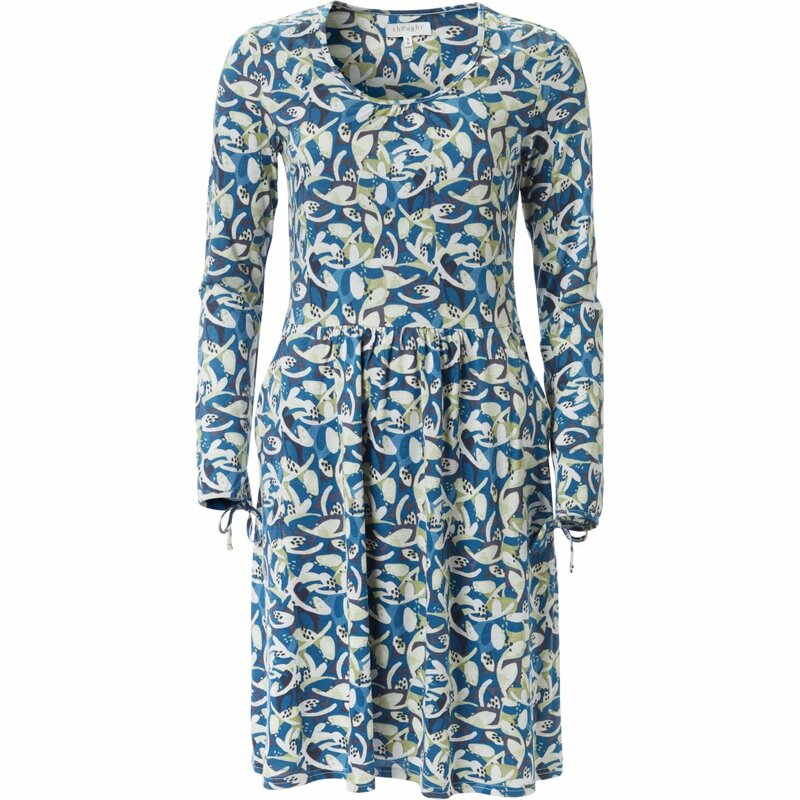 Made from a sustainable blend of bamboo and organic cotton, this gorgeously soft, eco friendly dress is perfect for a casual autumn look. With an exclusive design, subtle tie detailing, a scoop neck and long sleeves, the dress has a flattering shape and is perfect paired with your favourite flats. 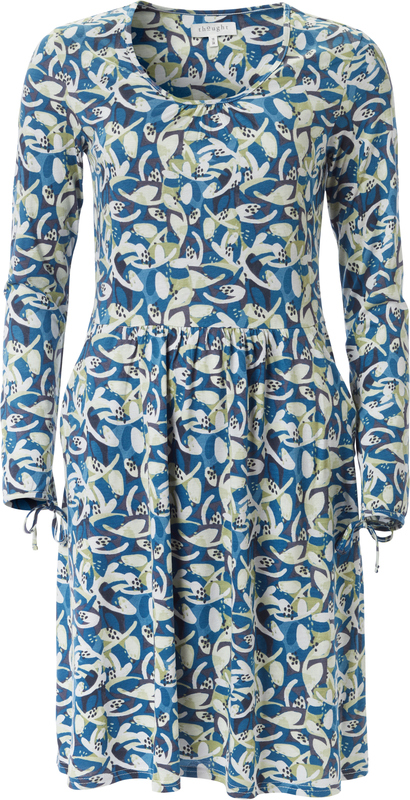 The dress is Oeko-Tex Standard 100 certified, made with azo-free dyes and suitable for vegans. 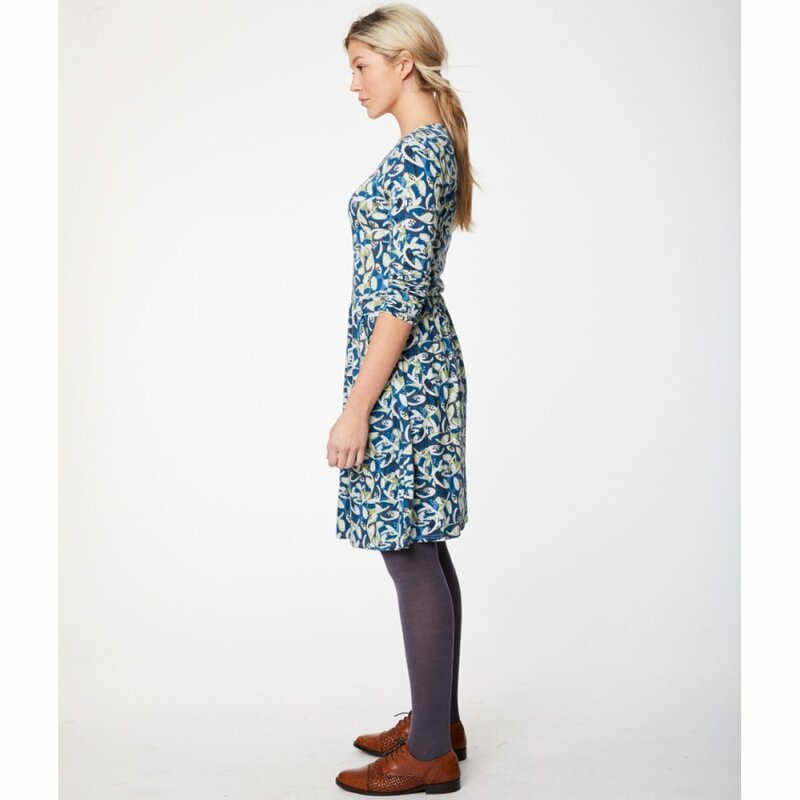 The Charleston Dress in River Blue is made with a blend of bamboo and organic cotton. Bamboo is an extremely sustainable material, growing incredibly fast and with minimal resources, and Thought uses a chemical closed loop method to produce bamboo fabric, which ensures no chemicals escape the process into the environment. The non-GM organic cotton used is certified by the Global Organic Textile Standard, and no harsh chemical pesticides or fertilisers are used to grow the cotton, which is much better for the soil and much safer for farmers. 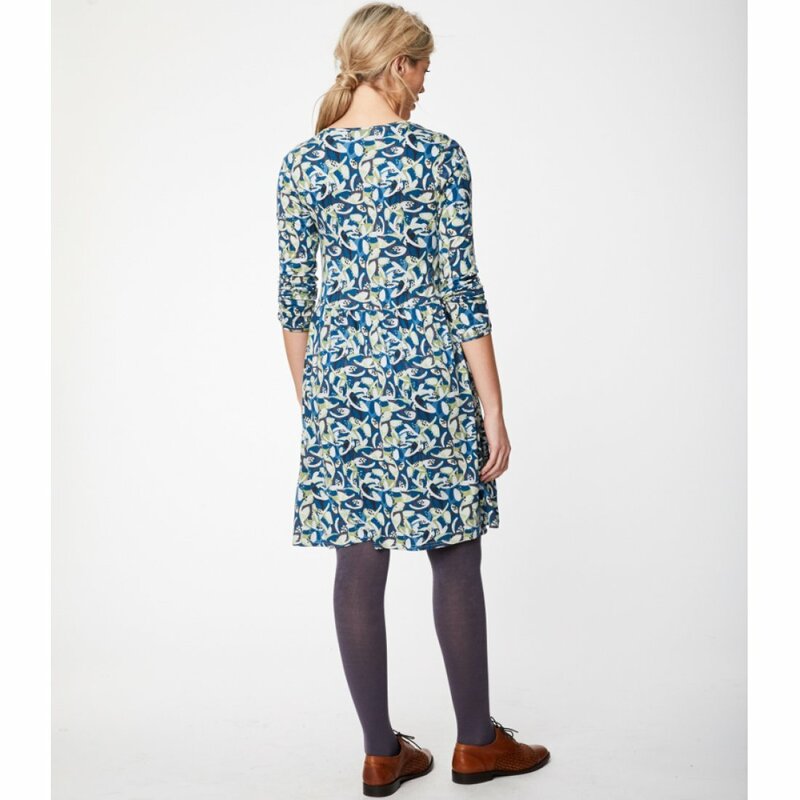 The Thought River Blue Charleston Dress product ethics are indicated below. To learn more about these product ethics and to see related products, follow the links below. There are currently no questions to display about Thought River Blue Charleston Dress.